Solving any water damage challenges and giving homeowners back their peace of mind is what our water damage Davie specialists at 911 Restoration of Miami do best, and we want to assist you around the clock. 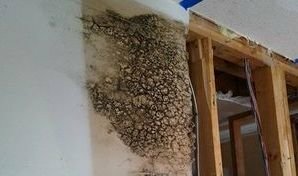 When water damages your home there is usually a strong chance that mold growth is also present, which is why home and business owners need the services of the mold removal Davie unit. Our water damage Davie unit understands that the last thing on your mind is mold after your home has been influenced by a flood or a leak, but the truth is that once moisture enters the home’s interior, it can water mold spores, causing them to blossom within 24 hours. In order to help you as soon as possible our water damage Davie staff keeps their phone lines open around the clock, that way you can schedule an appointment with our mold removal Davie techs immediately. Our water damage Davie experts work with IICRC certified professionals and use comprehensive techniques to get your home eradicated of all mold and prevent future infestations from occurring. This procedure involves remediating any water damage found on the premises, as well as checking for any damaged drywall or other parts of the household that may need to be removed and replaced. Being the solution to water damage challenges requires a rapid response time, and this is why our water damage Davie crew are all capable of responding to any water damage emergency within 45 minutes of getting the dispatch call to your home or business. Our mold removal Davie unit are available 24/7/365 to save the day during any emergency that arises, so don’t let your home get soaked by the costs of a water damage claim and call us today! With years in the field experiencing every kind of water damage event there is, our water damage Davie workers have seen and solved all types of fungus and water-related issues. This is how our water damage Davie techs are able to provide such excellent advice on how to prevent a water damage situation in the first place. Homeowners need to make sure that their gutters are spotless before the rains hit every year, which will help prevent clogging that can cause overflows that will eventually spread the layers of the roof protection apart and introduce water damage through ceiling leaks and similar situations into the home. Our mold removal Davie experts want you to know that you can also prevent water and mold issues situations by simply checking your appliances to make sure that the water connectors aren’t experiencing any wear and tear which may create a rupture. Refrigerator hoses rupturing is extremely common, and our water damage Davie professionals want homeowners to be aware that they can save themselves a lot of trouble by simply checking these appliances once a year. It is also very common for pipes to burst and this can happen for a variety of reasons. They become damaged and their water flowing through them, this can cause a build up of pressure which will cause the metal to burst and open. Once the pipes break the real damage begins, with water flowing through the cracks, can turn from a small leak to an incident where an entire area can become flooded. So, call our mold removal Davie team the moment you notice any signs of mold or leakage in your property and our water damage Davie experts will get to your home as soon as possible to start repair services. There have been times when our water damage Davie staff has had to take on large quantities of flood water that caused mold infestations in homes. These situations are challenging because when multiple issues are caused from a flood, there is an increased likelihood that the demand for restoration assistance will be needed immediately. This level of care for the people of the community is what makes our mold removal Davie operation the best option for homeowners dealing with the challenges of floodwater and fungi. With so many years of experience dealing with mold removal incidents of all sizes and proportions, you can count on our mold removal Davie technicians to get rid of every trace of mold from your household promptly and thoroughly. Not only do we extract preexisting mold, but our mold removal Davie experts remove spores from the area as well. This is just as important because spores are just an infestation waiting to happen. Along with cleaning your home, our water damage Davie specialists will also help you with figuring out the financial side of things. Sometimes homeowner’s insurance does not cover mold removal, so our mold removal Davie agents always offer affordable fungi remediation services. Our water damage Davie staff just wants to make this process as easy as possible, along with making your home a clean and safe environment again. Our repair workers cares about the well-being of the people in their community and their homes, and our mold removal Davie team wants to get your the financial coverage you deserve, so we will even file the insurance paperwork for you. Don’t let a flood spread water damage inside your home unexpectedly and call our water damage Davie techs at 911 Restoration of Miami to have all your water disaster problems solved today!